Anytime you are facing a divorce, child custody issues, adoptions or other family law related issues, it can be difficult to know where to even start. NXTSTEP Family Law’s mission is to help mothers, fathers, children and/or grandparents take the NXTSTEP in their lives by resolving those personal issues. Regardless of the family situation, our firm’s partners, Kris Sexton and Coby Boswell, will look out for your best interest with caring, thorough and aggressive legal representation. NXTSTEP’s primary focus is to help our clients heal their past, remove the unknown from their present and thrive in their future. And we do this in a straightforward, honest and responsive manner. 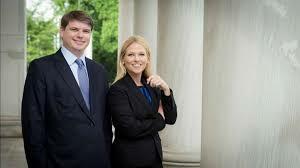 A graduate of Barry Law School, Kris is licensed to practice both in Alabama and Florida. Children and Family Law are her areas of primary focus. The Huntsville Madison County Chamber of Commerce just named Kris as its “2018 Young Professional of the Year”, and she has also been awarded the “Top 10 under 40” for the last four consecutive years by the National Academy of Family Law Lawyers. Coby graduated from Birmingham School of Law and specializes solely in Family Law issues. Having his MBA, he also brings a special knowledge to the table. Coby was recently awarded “Top Client Satisfaction” by the American Institute of Family Law Attorneys.